We really lucked out with clear skies, no moon and the Perseid Meteor showers, all on the same night. There's still time to catch this event. Grab your camera and tripod and drive far away from city lights. 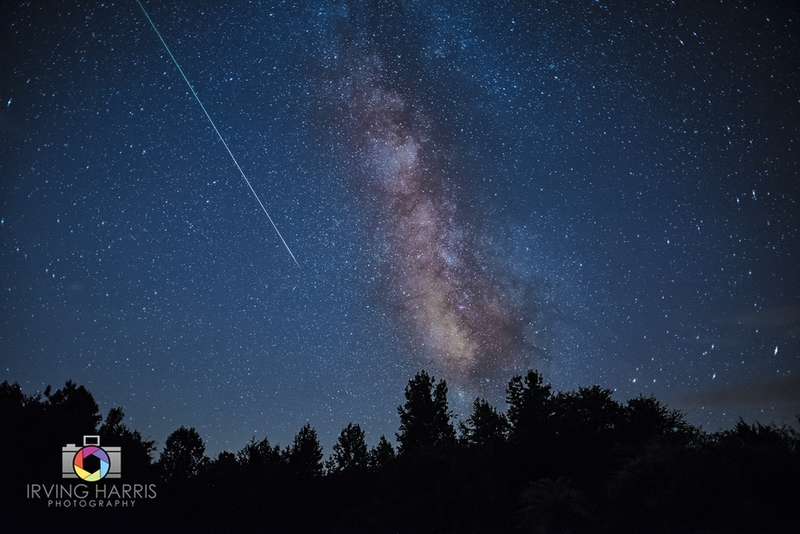 The perseid meteor shower will be coming from the northeast. In this picture I am facing roughly southwest. Here's the technical mumbo jumbo if you are interested. BRING BUG SPRAY and a microfiber cloth for wiping dew of your lens. Bring a lawn chair! Because you're going to get tired of craning your neck straight up to see the meteors.